Nintendo (TYO:7974) have reported their Q1 results for the financial year ending 2019, and it’s looking good. Original expectations, according to Thompson Reuters I/B/E/S, operating profits were forecast at ¥22 billion. Nintendo has smashed this target and seen an 88% year-on-year operating profits. For the Quarter running April 01 to June 30th, Nintendo has posted operating profits of ¥30.5bn compared to last years ¥16.2bn. This is a considerable growth when you consider that net sales haven’t grown even close to that level. Net sales this year were ¥168.1bn, a 9% YOY increase from last years ¥154bn. Notable figures from this report show that the Nintendo Switch has now sold 19.67 million consoles, with 86.93 million games. The 3DS family has sold 72.89 million consoles, with 367.84 million games. The company’s previous console, the Wii U, is understandably absent from the report. 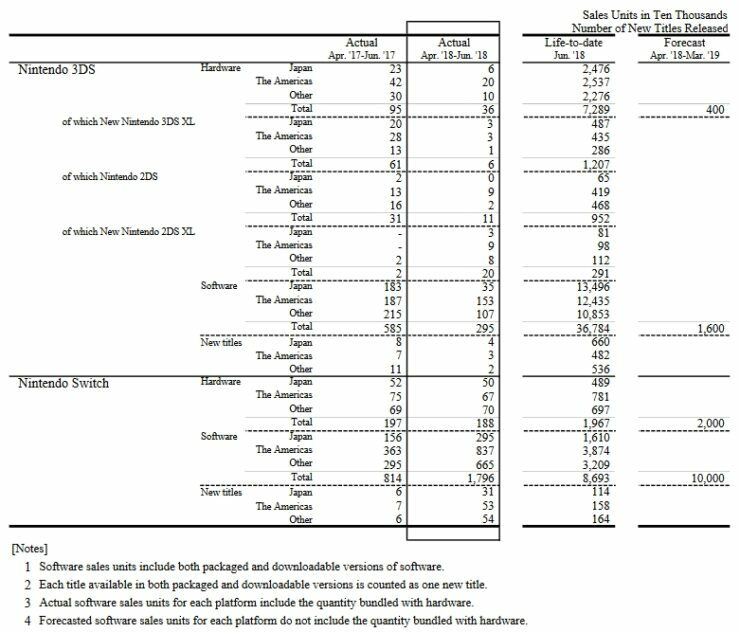 Nintendo has, however, released a Dedicated Video Game Sales Unit that shows the Wii U as having sold 13.56 million consoles and 102.28 million games. The driving force behind this increase in sales and, specifically, operating profit is software sales. Software, and digital in particular, has always been the higher margin for games companies and this quarter has shown that well for the company. The company has seen a 221% YOY sales increase of software for the switch, from 8.14 million units last year to 17.96 million units this year. The 3D, on the other hand, has been less successful. This has shown a 49% decrease in software sales from 5.85 million to just 2.95 million units. The likely cause behind this decline and the Switch’s success were the number of new titles released. The switch saw a slew of new titles while the number of new titles on the 3DS was half at best, though this varied from region to region. On hardware, the slowdown of sales continues. 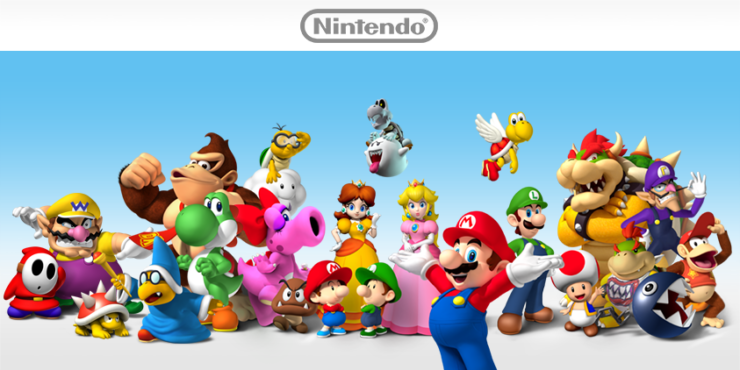 The 3DS family has seen sales of consoles fall from 950,000 to 360,000. The Switch, on the other hand, has only seen a slight decline from 1.97 million to 1.88 million. Nintendo’s target of consoles sold for the end of March 2018 was 14 million units, one they have resoundingly met and passed. In addition to this, the Nintendo NES Classic was also relaunched last month (June) and has seen sales of 1.26 million units. Also recently launched is the Nintendo Labo, the addition to the Switch that lets players build their accessories. This has sold 1.39 million units since it’s launch in April. During the first quarter of this period (April through June 2018), for Nintendo Switch, Donkey Kong Country: Tropical Freeze was released in May and became popular, selling 1.40 million units worldwide. Mario Tennis Aces, released in June, is also off to a good start, with 1.38 million units sold. We also released Nintendo Labo in April as an offering of new ways to play that gained a lot of attention globally, and was very well received by consumers who purchased it. Sales of Nintendo Labo series overall reached 1.39 million units. Additionally, sales of popular titles released during the previous fiscal year, and of titles released by other software publishers are showing steady growth. Outside of this core segment, the company is seeing limited success. Mobile (smartphones), for example, has seen a 0.4% YOY increase to ¥9bn. 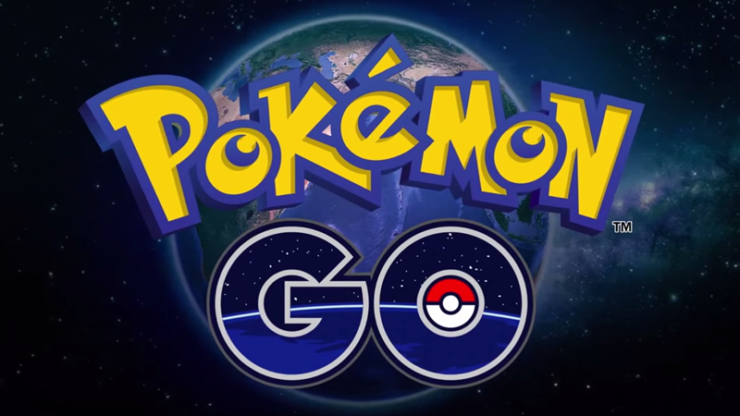 This is despite the fact that Pokémon Go generated $1.8bn in revenue in two years. Nintendo does, however, have to split the revenue retained by The Pokémon Company with both Game Freak and Creatures. In addition to this, Niantic developed the title and retain their share, which is further diluted by the percentage kept by Google (TYO:7974) and Apple (NASDAQ:AAPL) from sales on their stores. Other titles on mobile devices include Super Mario Run, Fire Emblem Heroes and Animal Crossing: Pocket Camp. None have taken the world by storm in the same way that Pokémon Go managed to, leaving Nintendo still looking for that hit mobile title that will push the division to the next level. Other sales for the company come in the form of merchandise and, in the case of Nintendo, playing cards and other traditional games. For example, they still make and sell playing cards, Mahjong Sets and more. This area has seen a strong improvement, raising from ¥391m last year to ¥541m this year. One thing to consider now is the push to digital sales. Nintendo, with the Switch, are lagging somewhat behind competitors like Sony (TYO:6758) and Microsoft (NASDAQ:MSFT). The company has seen improvement in this area though, seeing the sales increase from ¥11bn last year to ¥18.5 this year. The company will undoubtedly see this increase further when they release their paid online service in September. Yesterday we covered the fact that a huge short bet, worth close to $400 million, had been placed against Nintendo. When opening today, Nintendo saw shares plummet from ¥37,540 at the close yesterday, to ¥36,210. Likely following the reveal of their strong quarter, shares saw a rise to ¥37,100 and have closed at ¥36,760. Figures from the current quarter don’t indicate any sort of problem with the Kyoto based gaming giant. It may even indicate a bad short bet against the company. For the current and future quarters, Nintendo has the high potential of seeing sales of software boost even further. Octopath Traveller, which launched this month has been met with highly favourable public and critical response. In addition to this, two big titles in the form of Pokémon: Let’s Go Pikachu! and Super Smash Bros: Ultimate are launching around the holiday season. Further afield titles like Bayonetta 3, Fire Emblem: Three Houses, DAEMON X MACHINA, Pokémon RPG and Metroid Prime 4 are all in development for the Switch. For the 3DS family, a YO-KAI Watch title is to be released next month, with a further Luigi’s Mansion game to be released sometime in 2018. 2019 will see the release of Mario & Luigi: Bowser’s Inside Story + Bowser Jr’s Journey. From the perspective of a gamer (me! ), I can’t see any problems with Nintendo’s future lineup of titles. Not to mention the fact that they gain revenue from every other title launched and sold on the Switch or 3DS consoles. There is also massive potential to further use franchises to expand in the mobile market.